Objective: to study the clinical and anamnestic features of pollen-food allergy syndrome in children with pollinosis. Materials and methods. 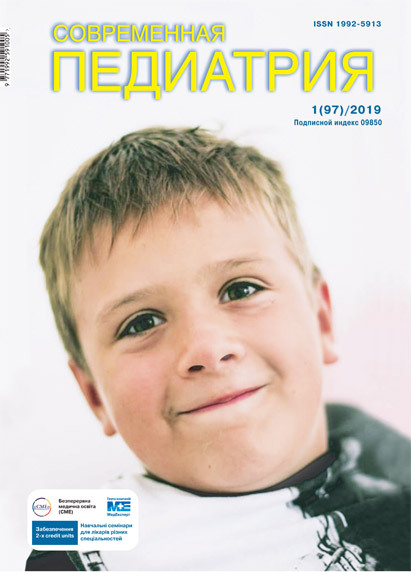 In total 128 children with pollinosis were examined, who were divided into 2 groups: the main group consisted of 48 children with pollinosis and cross-reactive food allergies and the group of comparison included 80 children with pollinosis. All children were provided with questionnaire survey, allergological and clinical examinations. Results. It was established that in 37.5% of children with pollinosis, a pollen-food syndrome was also formed, represented predominantly by the association of birch-plant food syndrome (in 77.0% of children). In 100.0% children, the pollen-food allergy syndrome is accompanied by oral allergy syndrome, which is combined with urticaria in 39.5% of children and anaphylaxis in 10.4% of patients. Among the offending plant food allergens caused the pollen-food allergy syndrome were as follows: nuts, apple, peach, carrot, banana, tomato, melon, chamomile and celery. It was proved that the specific risk factors for the pollen-food allergy syndrome in children are the age of children with pollinosis over 14 years old, a combination of a remarkable family history for allergic reactions and birth during the pollination period. Conclusions. The study outcomes obtained allow distinguishing among children with pollinosis a high risk group for the cross-reactive food allergy formation and timely administration of the prevention-care interventions. Key words: pollinosis, allergens, pollen-food allergy syndrome, food allergy, risk factors, children. 1. Allergic rhinitis in children. Clinical recommendations. (2016). Access mode: https://www.pediatr-russia.ru/sites/default/files/file/kr_ar.pdf. 3. Varlamov EE. (2016). A modern look at pollinosis. Practice of the pediatrician. 2: 18. 4. Vishneva EA et al. (2015). Allergen-specific immunotherapy in children with rhinitis and rhinoconjunctivitis – standardization of approaches to the evaluation of efficacy. Pediatric Pharmacology. 12 (2): 173—179. 5. Drannik GN. (2010). Clinical immunology and allergology. A manual for students, interns, immunologists, allergists, physicians of the medical profile of all specialties. 4 th ed., Ext. Кyiv: 464. 6. 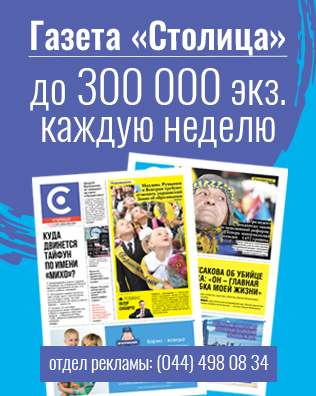 Evdokimova ТА, Petrovsky FI, Ogorodova LM, Fedotova MM et al. (2013). Features of clinical phenotypes of food allergies in the syndrome of cross reactivity. Questions of modern pediatrics. 12; 2: 6—11. 7. Zabolotna DD et al. (2014). Comprehensive examination of patients with seasonal allergic rhinitis with and without cross food allergy. Results of clinical, otolaryngological and allergic examination. Journal of the Ear, Nose and Throat Diseases. 5: 6—15. 8. Naumova ОО. (2015). Prognostic value of sensitization determination to lipid-transfer proteins in patients with seasonal allergic rhinitis. Pathology. 2 (34): 110—113. 9. Naumova ОО. (2015). Cross food allergy in patients with seasonal allergic rhinitis. Journal of the Ear, Nose and Throat Diseases. 2: 59—72. 10. Sergeev АВ, Mokronosova MA. (2011). Oral allergy syndrome. Medical Immunology. 1 (13): 17—28. 11. Umanets TR. (2014). Sublingual Immunotherapy: Position of the World Allergological Organization. Health of Ukraine. 3 (30): 40—41. 13. Asero R, Mistrello G, Roncarolo D et al. (2003). Detection of clinical markers of sensitization to profillin in patients allergic to plant-derived foods. J. Allergy Clin. Immunol. 112: 427—432. 14. Bartra J et al. (2009, Feb). From Pollinosis to Digestive Allergy. Journal of investigational allergology & clinical immunology. 19; Suppl. 1: 3—10. Retrieved from https://www.researchgate.net/publication/26247344_From_Pollinosis_to_Digestive_Allergy. 15. Baumann LM et al. (2015). Prevalence and risk factors for allergic rhinitis in two resource-limited settings in Peru with disparate degrees of urbanization. Clin Exp Allergy. 45 (1): 192—199. 16. Brożek JL et al. (2016). Allergic Rhinitis and its Impacton Asthma (ARIA) guidelines — 2016 revision. https://www.jacionline.org/article/S0091-6749(17)30919-3. 17. De Shazo RD, Kemp SF, Corren J, Feldweg AM. (2018). Allergic rhinitis: Clinical manifestations, epidemiology, and diagnosis. Retrieved from https://www.uptodate.com/contents/allergic-rhinitis-clinical-manifestations-epidemiology-and-diagnosis. 18. Fact sheet. (2016). World Allergy Week 4—10 april 2016. Retrieved from www.worldallergy.org/…/WorldAllergyWeek2016FactSheet. 19. Fernandes-Rivas M et al. (2006). Apple allergy across Europe: how allergen sensitization profiles determine the clinical expression of allergies to plant foods. J. Allergy Clin. Immunol. 118 (2): 481—488. 20. Govaere E et al. (2007). The influence of age and gender on sensitization to aero-allergens. Pediatric allergy and immunology. 18; 8: 671—679. 21. Vieths S, Scheurer S, Ballmer-Weber B. (2002). Current understanding of cross-reactivity of food allergens and pollen. Ann. NY Acad. Sci. 964: 47—68. 22. Werfel T, Asero R, Ballmer-Weber BK et al. (2015). Position paper of the EAACI: food allergy due to immunological cross-reactions with common inhalant allergens. Allergy. 70: 1079–1090. Retrieved from https://onlinelibrary.wiley.com/doi/epdf/10.1111/all.12666. Article received: May 15, 2018. Accepted for publication: Sep 06, 2018.